The bathroom is always an area of your home that never seems to have enough storage. Between body washes, hair products, towels, and razors, cabinets can overflow and bathtub ledges can look like an intricate game of dominos. This can be especially frustrating if you share a bathroom with others. There just isn’t room for everything. 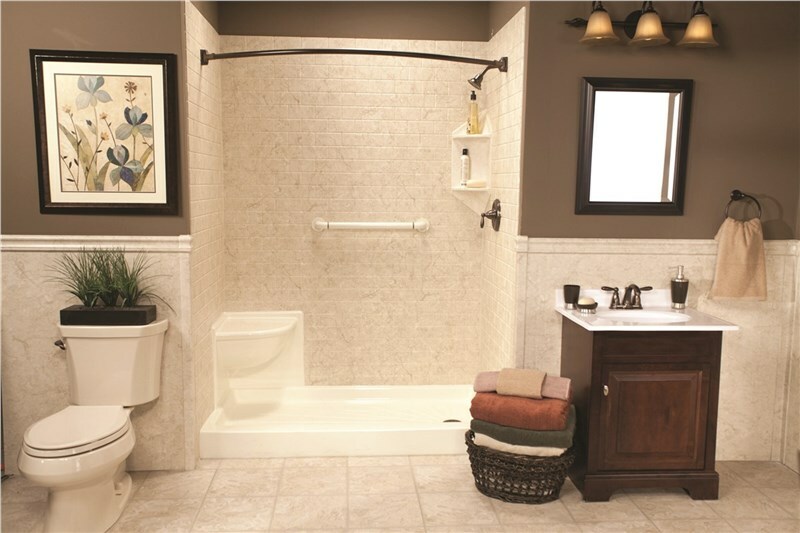 But if your bathroom feels crowded and claustrophobic rather than relaxing and tranquil, there are solutions out there. 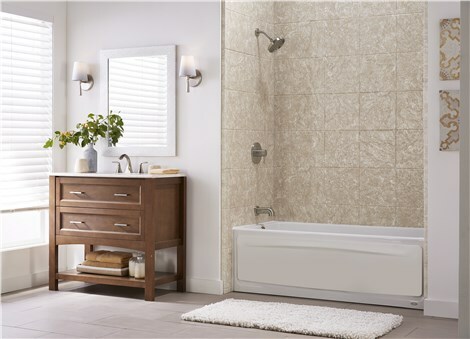 Even if your bathroom is on the smaller side, our Tiger Bath Solutions team has compiled a list of strategies that will help you make the most out of your space. Do you really need that strange-smelling body wash you got as a stocking stuffer three years ago? Chances are, if you haven’t used it already or don’t use it regularly, you don’t need it. Throw out the things you don’t use. You can even do a good deed in the process—donate your unopened, unused goods to a local charity or shelter. It’s a win-win situation for everyone! If you’re anything like the average homeowner, you don’t often—or evenever—use your bathtub. You can save a ton of square footage by opting for a shower-to-tub conversion. Our Tiger Bath solutions team can transform your unused tub into a beautiful and space-efficient shower in just one day. You can install a space-saving shelf, full-length mirror, or additional cabinet with the space you’ve saved. It may surprise you to learn that you probably have more space to work with than you think. By installing a shelf that fits around your toilet, purchasing a multi-layer shower caddy, or hanging a towel rack off your door, you gain more space to without needing any extra square footage at all. You could even designate a shelf for each member of your family! Whether you decide on decluttering, scheduling a shower-to-tub conversion, installing extra shelving, or all three, we know your dream bathroom is just around the corner!